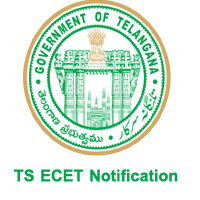 Telangana State Government releases the detailed ECET Notification 2019 in March 2019. The Telangana ECET Notification is regarding the admissions into B.Tech and B.Pharm courses in various colleges. The Jawaharlal Nehru Technological University of Hyderabad is going to conduct the ECET exam. Telangana state is inviting applications from the eligible candidates only through online mode. On behalf of Telangana state council of higher education (TSCHE), JNTU Hyderabad is conducting the Telangana ECET exam. The JNTUH announced the exam dates of ECET of Telangana state. Candidates who are willing to enter the second year of B.Tech or B.Pharm courses can use this opportunity of ECET Notification 2019. Apply for TS ECET exam on or before the last date. A student can enter into the 2nd year of B.Tech/ B.E as a lateral entry with the ECET exam. ECET is a common entrance test for degree and diploma holders. JNTUH released the Telangana ECET Notification 2019. The Telangana ECET will be conducted once in a year. Candidates who are preparing for Common Entrance test can apply for TS ECET 2019 on or before the last date. The interested candidates can check the important dates, eligibility, application fee and instructions to apply for ECET exam on this site. Conducting Institute Jawaharlal Nehru Technological University, Hyderabad. The interested candidates who are going to apply for Telangana State ECET should have the following education qualification. You can check more details about TS ECET Eligibility in the Telangana ECET Notification or on the official site. Diploma in Engineering/ Technology and Pharmacy with 45% aggregate with a recognized institution/ university. 3-years Degree in B.Sc from a recognized university/ institution. The candidate who is applying for TS ECET 2019 needs to pay Rs: 400/- or Rs.800/- for the application. Notification release 5th March 2019. Online Application starting date 6th March 2019. Last date for Application submission 8th April 2019. ECET Online Application Submission last date with late fee Rs.10000/- 6th May 2019. The Telangana state invites the applications from the eligible students only through online mode. We will help you in providing the direct Telangana ECET Application form link on this site. The desired candidates can fill the application form in the TS ECET official portal on or before the last date. You can follow below steps while filling the application form in ecet.tsche.ac.in website. Initially, go to the official website of Telangana ECET from the enclosed link. Register and generate log in ID and Password. Fill all the details in the TS ECET application form. Upload photograph and signature in the below section. Preview the application form before submitting the details. The Telangana state government releases the ECET admit card in the month of May 2019. The admit card of TS ECET exam is only available in online. You can follow our website for fast updates regarding ECET Admit card 2019. Check the official website ecet.tsche.ac.in regularly and download the hall ticket for ECET exam. The examination authority doesn’t send the admit card through post. So, you have to download from the official website. Candidates who are going to apply for the Telangana ECET Notification must check the exam syllabus. It is easy to make the preparation is easy by knowing the TSECET Syllabus 2019. Hence we have provided the actual TS ECET 2019 Exam Syllabus. So, candidates can click on the below link to get the Telangana ECET Syllabus. Once the JNTUH completes the evaluation of ECET exam, the Telangana state government will release the ECET result on the official website. Most probably, the ECET 2019 exam results will be out in the month of May 2019. So, the candidates who attended for ECET 2019 can check the ECET 2019 result on the official website. Although, we will provide the updates of ECET 2019. So, you can visit our site regularly. In this section, we have mentioned the list of Regional centres where the TS ECET Examination is going to conduct. what we have to do now. Ecet Counselling dates sir ? ?